A premium tee with a price tag to match, the Outlier Ultrafine Merino T-Shirt is a great merino wool t-shirt for long-term, minimalist travelers. 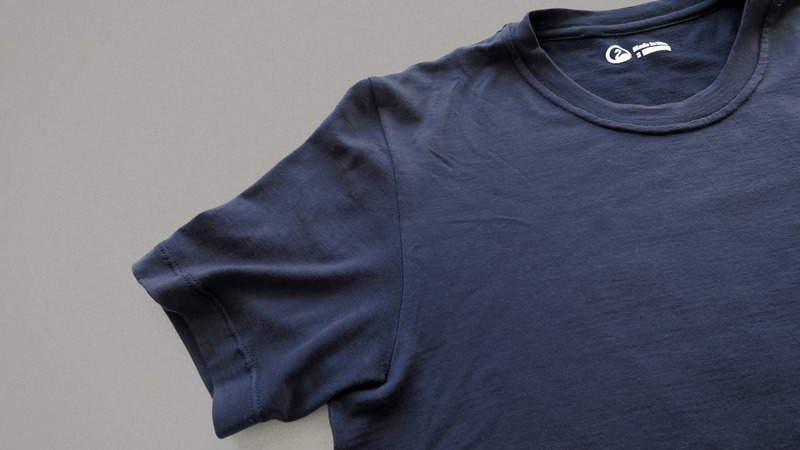 Ah, the Outlier Ultrafine Merino T-Shirt. We like to call this the tank of t-shirts—which sounds ridiculous, but bear with us—we’ll explain. Upon first inspection of the shirt, you’ll notice it’s probably a little thicker than most of your t-shirts, but you’ll also notice how incredibly soft it feels. The Mackenzie 17.5, 195gsm Merino Jersey Wool is pleasantly comfortable and feels great upon the first try on. The cut of this shirt is slim and modern. When we looked for durable, breathable, and comfortable t-shirts, all we could find were nylon workout shirts—those weird, neon-colored shirts with huge logos that you could never wear outside of a gym. This t-shirt has a lot of the same properties, but it looks like a normal shirt. You can wear this thing out to dinner with your partner and their parents, and no one will know the difference. Oh, and the thickness. It is a bit thick, which we were concerned about. But, because it’s made of this awesome Merino wool, it actually breathes better than most cotton t-shirts. Merino wool is an excellent choice for travel clothing—it’s like nature’s ultimate fabric. It’s antimicrobial, it doesn’t hold onto smells, it dries quickly, and it somehow keeps you cool in the heat and warm in the cold. Don’t ask us how. It’s magic. 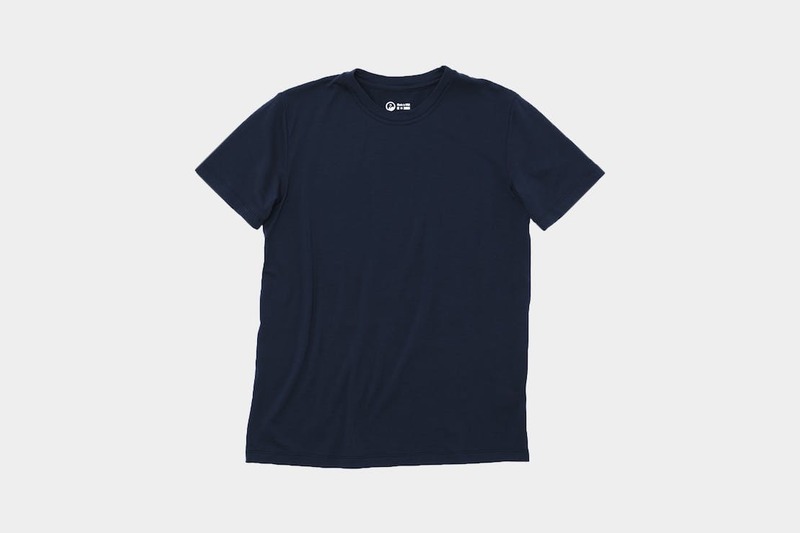 Pictured here is the navy color, but there are many others to choose from on Outlier’s website. We have noticed that while this shirt is breathable and cool, the dark navy can be warm if you’re in the sun for long periods of time. If you find yourself in the sun a lot, you might want to opt for a lighter color. The best thing about this shirt is that you hardly ever have to wash it. Seriously, this thing pretty much cleans itself if it’s hung in fresh air for a while. Eventually, you’ll need to wash it, but be careful when you do. We recommend washing by hand, or putting it into the washer on a cold, delicate setting. Kookaburra Wash can work wonders on delicate wool—avoid any type of fabric softener at all costs. Don’t use a dryer for this shirt either, or for any of your wool products for that matter. The fabric will likely shrink and the wool will start to pill. Unless you want to wear a fuzzy, undersized shirt. Then, by all means, put it in the dryer 😉. It’s also best to dry this thing laying flat vs on a hanger, but sometimes we like to live dangerously & hang it from a clothes hanger anyway. You won’t need to carry many shirts with you because you can re-wear it many times without washing. 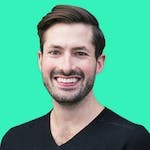 You’re either going to carry one expensive outlier t-shirt, or 5 $20 tee shirts that you need to wash more often – and they take up much more space in your luggage or backpack. This thing lasts longer than most shirts due to its high durability—you’ll get a good cost per wear. Let’s crunch some numbers here. Say you wear a t-shirt about 5 times a week and keep 2 on rotation. That’s 2.5 wears per week. We first started testing these shirts in March 2016. So that’s 2.5 wears per week at 78 weeks, and yeah – carry the one over – 78 weeks times 2.5 uses per week – that’s 195 total wears. 98 dollars divided by 195 wears is about 50 cents per wear. Not bad! And this shirt doesn’t get any special treatment. It’s traveled A LOT, has been in tons of different climates, on camping trips, and seen a whole lot of sweat. Yet it can still be worn for over ten days without washing it. It’s not too surprising that this ended up being one of the best merino wool t-shirts on the market—Outlier is a great brand, and we tend to like most of their stuff. Looking good right out of the box. Feeling good after initial try on & really soft. 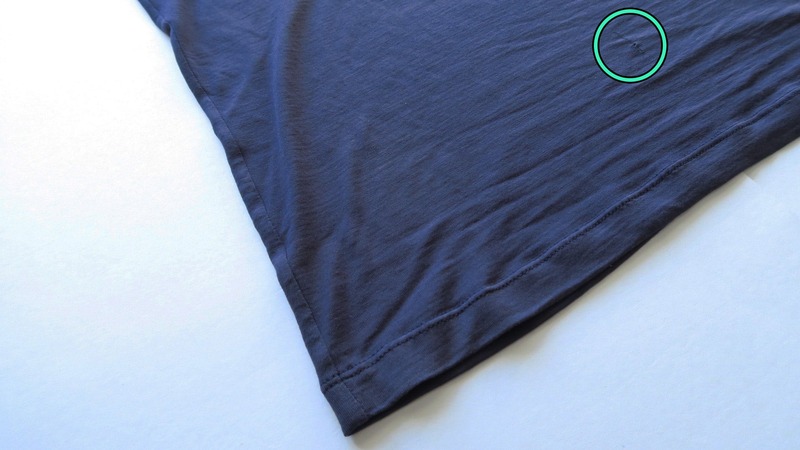 There is a small hole forming at the front of the shirt from a belt with a sharp corner. We emailed outlier and they said the wool could be darned at the tailor. No new developments – still going strong, and wearing the shirt even more times between washes (shhh – don’t tell anyone). No new developments. Still going strong. 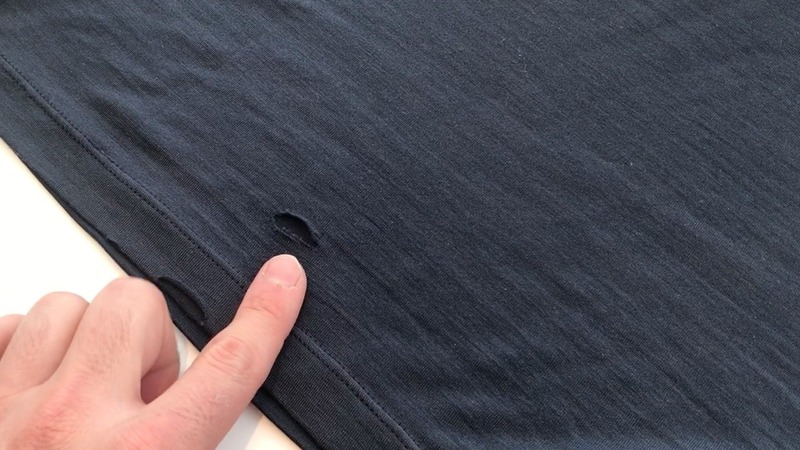 The small hole from the belt has not become larger, and the quality is still solid & feels like new—especially after a wash.
Large hole developing on the back of the shirt. Unsure of the cause. Might be time for a new one – it’s been a great run at about 200 wears. The shirt has a modern fit & looks sharp. Even with frequent and heavy use, this thing has held up well to the elements. Although it naturally has some properties of a "work out" / performance shirt, it certainly doesn't look like it. The shirt is expensive, but you’re get your money’s worth from a cost per wear standpoint. The material is a little thicker than most people are used to. Darker colors can be warm in the sun. If you’re okay forking out a decent chunk of change for a t-shirt, you certainly won’t regret investing in the Outlier Ultrafine Merino T-shirt.